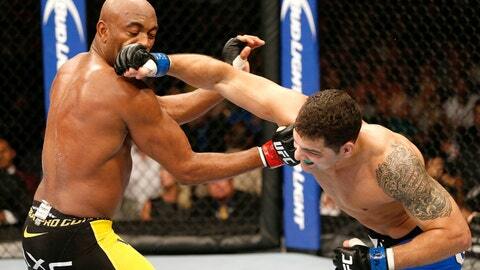 Will Weidman vs. Silva II turn out as epic as their first bout? Only one way to find out. After the most entertaining string of fights and events in quite some time, the UFC closes out 2013 with a star-studded card headlined by two of the most highly anticipated championship rematches in UFC history. Following a tense season as opposing coaches on Season 18 of The Ultimate Fighter, women’s bantamweight champion Ronda Rousey steps into the cage to renew acquaintances with her chief rival, Miesha Tate, in the penultimate fight of the UFC year. UFC saved the best for last, as middleweight titleholder Chris Weidman will once again enter the Octagon with Anderson Silva, looking to build off a UFC 162 victory. Weidman hopes to start a reign atop the weight class with a second consecutive victory over arguably the greatest fighter of all time. Still not convinced? You’ve come to the right place. Imagine what it would be like to achieve your greatest goal - something many have chased, but never accomplished before you - only to hear legions of people call it a fluke? In July, Weidman did what 14 different fighters failed to do over 16 consecutive fights inside the Octagon – he beat Silva, knocking him out cold with a left hook a minute and change into the second round. Because it was a surprising outcome and one that came as the long-reigning champion dropped his hands and pantomimed being hurt, there are plenty of people that package their first meeting as a fight that Silva lost, as opposed to one that Weidman won. That has the new champion even more focused on duplicating that effort this time. He’s heard the chatter - the excuses, the explanations - and views this second meeting as an opportunity to silence his critics with a similarly impressive performance the second time around. Weidman believes he’s better this time too, as the first fight occurred following a year on the sidelines and a pair of surgeries. This time, he’s spent the last six months doing nothing but prepare for Saturday night’s rematch. The first fight was historic, and this one could be too. Heading into this weekend’s second fight with Weidman, it seems as if most people see only two possible outcomes for Silva: redemption or retirement. Those that believe he lost the first fight by underestimating his opponent and taking his in-fight antics a step too far at the worst possible time envision a focused version of the Brazilian icon stepping into the cage and exacting revenge in brutal fashion. Those that believe he lost because Weidman was the better man and remains in that position today see a second consecutive loss on the horizon, followed by Silva walking off into the sunset. In reality, there are plenty of options that exist in between, but it’s fair to fixate on these two outcomes because Silva doesn’t profile as the type of guy to just hang around the middle of the division for years to come. As much as we always want to see the fight itself, the aftermath is always intriguing as well, and that is the case here, just as it was last month with Georges St-Pierre and Johny Hendricks. Not only is there the intrigue surrounding the return of the greatest fighter of all time off his first loss in more than seven years, but there is also the question of what comes next. The only way to find out is to tune in. The co-main event isn’t so much a women’s bantamweight championship bout as it is a chance for two rivals to step into the cage and unload the tension and animosity that has been simmering for the last six months. Sure, a title is on the line, but belt or no belt, Rousey and Tate are going to try and beat the hell out of one another this weekend, and you’re not going to want to miss it. Their contrasting approaches made for great television during "The Ultimate Fighter," and the build up to their rematch has featured boasts and backhanded compliments, and it will all come to a head inside the Octagon. Tate is confident she has found holes in Rousey’s game and ready to replace the champion as the face of women’s mixed martial arts, while the unbeaten California native that "doesn’t give a damn ‘bout her reputation" is intent on beating her nemesis in even more dominant fashion. Will the Rousey Era continue or does Tate earn a victory and add more fire to this heated rivalry? Dustin Poirier is never in a boring fight - ever, period, end of sentence. His opponent in the main card opener, Diego Brandao, is following a similar path, with entertaining performances in each of his first five UFC appearances. At UFC 168, the two featherweight hopefuls square off in a contest that will move the victor to the fringes of contention in the 145-pound ranks, and with their shared penchant for putting on exciting bouts, you can be sure this weekend’s main card will start with a bang. 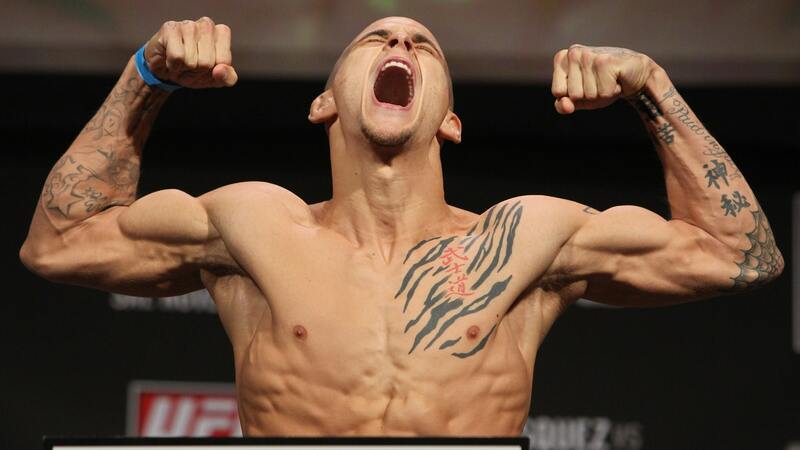 While Brandao carries the longer winning streak (three fights) into the cage, Poirier has faced far better competition, most recently turning aside former No. 1 contender Erik Koch in a fun little scrap at UFC 164 in August. Both like to keep a torrent pace and throw caution to the wind in the striking department, happy to take a shot to land a shot, confident the one they land will have the greater impact. They’re each skilled on the ground as well, which should lead to this being a back-and-forth battle no matter where the fight ends up. Brandishing a three-fight losing streak and a 1-4 record dating back to his New Year’s Day loss to Brian Stann at UFC 125, Chris Leben might be making his final trek into the Octagon when he takes on Uriah Hall in the night’s final preliminary card contest. One of the few remaining active competitors from the inaugural season of "The Ultimate Fighter," Leben has been both wildly popular and plagued with inconsistencies and personal issues along throughout his career. While he has worked diligently to straighten out his life outside of the cage, his successes against addiction haven’t translated to victories inside the Octagon, leading to the potential of the meeting with Hall being Leben’s final UFC appearance. Whether Leben continues on or calls it a career, he will go down as one of the most popular fighters in UFC history and a competitor who embodied the ‘anywhere, any place, and any time’ mentality to its fullest.